Shortly after WWII, when knowledge about nutrition was still sparse, scientists in Canada took advantage of already malnourished aboriginal communities by using them as research subjects to investigate the effects of different diets and dietary supplements. Evidence of these government-run experiments was brought to the forefront by food historian and UBC History alumnus Ian Mosby, and the research has gained widespread recognition. Sometimes the experiments involved decreasing food intake or withholding supplements. Hundreds of indigenous people across Canada were included in the experiments, of which they had no knowledge, and many of them were children in the Indian Residential School system. 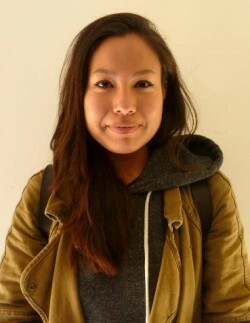 ­ In partnership with the Faculty of Land and Food Systems, with support from the UBC First Nations House of Learning, the UBC Department of History and Kloshe Tillicum (Network Environments for Aboriginal Health Research). This event took place on October 17, Friday 2014 at UBC First Nations House of Learning. Jo-ann Archibald, Q’um Q’um Xiiem, from the Sto:lo and Xaxli’p First Nations, is Associate Dean for Indigenous Education, the Director for the Native Indian Teacher Education Program (NITEP), and Professor in the Educational Studies Department in the Faculty of Education at the University of British Columbia. 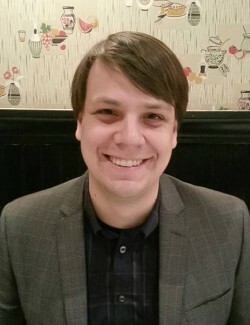 Ian Mosby is currently a Postdoctoral Fellow in the L.R. Wilson Institute for Canadian History at McMaster University. The publication of his article “Administering Colonial Science: Nutrition Research and Human Biomedical Experimentation in Aboriginal Communities and Residential Schools, 1942-1952” in the summer of 2013 brought renewed attention to the terrible legacy of Canada’s Indian residential school system and received widespread international media attention. This article is part of a larger research project examining the ways in which food, hunger, and the science of nutrition were used as tools of Canadian colonial policy during the middle decades of the twentieth century. His first book, Food Will Win the War: The Politics, Culture and Science of Food on Canada’s Home Front was published by UBC Press in May 2014. Chief Robert Joseph is a Hereditary Chief of the Gwawaenuk First Nation who upholds a life dedicated to bridging the differences brought about by intolerance, lack of understanding, and racism at home and abroad. His insights into the destructive impacts these forces can have on peoples’ lives, families and cultures were shaped by his experience with the Canadian Indian Residential School system. 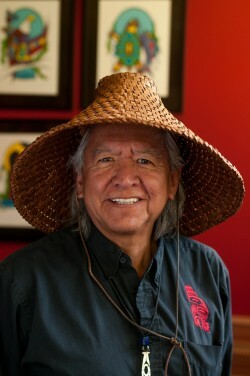 Joseph began his life immersed in the rich cultural and family life of the Kwakwaka’wakw People. Unlike many other First Nations, his people were able to maintain much of their traditions due to the isolated and self-sustaining nature of their small village located on the central coast of British Columbia. Nonetheless, the reach of the government was long and eventually, as a young child of 6 years old, Joseph was removed from his community in order to begin an education designed to “kill the Indian in the child.” Despite the harsh lessons and abuse endured during his 11 years spent at St. Michael’s, Chief Joseph retained a deep understanding of his place in the world and his responsibility to his people. In 2003, he received an Honorary Doctorate of Law Degree from the University of British Columbia for his distinguished achievements in serving BC and Canada. Chief Joseph is currently the Ambassador for Reconciliation Canada and the Indian Residential School Survivors Society, Chairman of the National Assembly of First Nations Elder Council, and Special Advisor to both Canada’s Truth and Reconciliation Commission (TRC) and Indian Residential School Resolutions Canada. Professor Jovel’s research interests include ethnobotany, mycology, natural product chemistry and Aboriginal health. He is especially concerned with organismal and chemical diversity and their intersection with human and environmental health. He is interested in Indigenous peoples’ worldviews and their use of ecosystem resources to maintain health and wellness, particularly plants and fungi used in traditional medicine. In the last 10 years, Eduardo has taken an active role in Aboriginal health research, including Indigenous medicinal systems, food security, environmental health, research ethics, and Indigenous research methodologies. Through his research program, he has addressed health issues affecting Aboriginal people (e.g. environmental contaminants in traditional foods; impact of indoor moulds in Aboriginal housing). He strives to integrate interprofessional research practices and education, and merge Indigenous knowledge traditions and Western academic disciplinary positions and cultural contexts, while maintaining academic rigor. By doing so, he embraces values of respect, tolerance and diversity in his research and education involvement. Dr. Jovel’s Indigenous ancestry is Pipil-Mayan from El Salvador. Jessie is from Skidegate, Haida Gwaii and a member of the Gak’yaals Kiigawaay clan within the Haida Nation. She is currently a Dietetics student in the Food, Nutrition & Health program in the Faculty of Land and Food Systems and is completing her fifth year of study interning with the Island Health Authority. As a Registered Dietitian, she hopes to reduce the incidence of health-related diseases affecting the people of her community, rather than trying to correct it in the future. She is deeply committed to promoting traditional foods, as she feels they form an important connection between the health, culture, and identity of her people. Gerry Oleman is a member of the St’at’imc Nation from Tsal’alh (Shalalth B.C.) and has been involved as a change agent for First Nations communities and agencies since 1976. His experiences include providing counseling for individuals, families, and groups, and providing leadership politically and administratively to his community and Nation. Gerry came to the realization that all First Nations in Canada have the same suffering and challenges; all challenges are man-made therefore they can be healed and fixed using our traditions and laws that worked for us for thousands of years. Over the past 34 years, Gerry has facilitated over 645 workshops across Canada and in the United States.